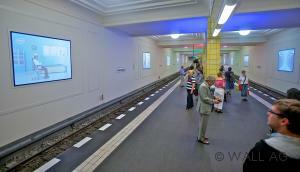 Behind the tracks of the underground railstation U6 at Friedrichstraße 12 digital city light boards will be placed. 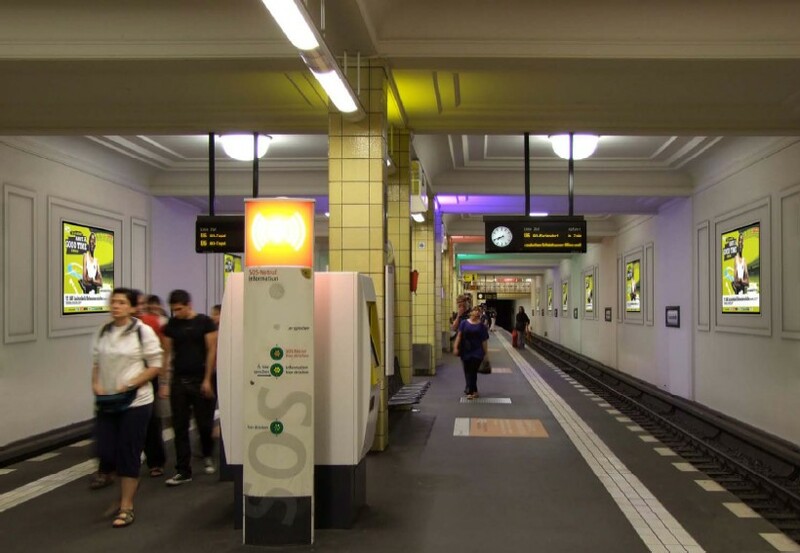 Due to its central location in Berlin and its proximity to attractions such as the Unter den Linden boulevard, the Brandenburg Gate and the Reichstag, the station is a favorite destination for tourists. At the same time, it is the main junction for regional traffic in Berlin, measured by the number of passengers. There will be 6 beamers on each side behind the tracks, which can be watched in the waiting situations. The space between the user and the projection will be 1 to 3 meters approximately.